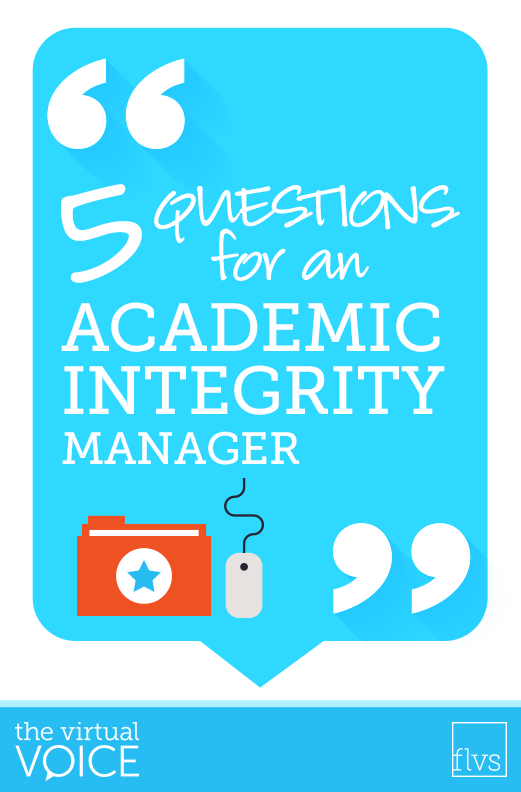 The Academic Integrity Manager manages the Academic Integrity program at FLVS. The Academic Integrity Manager communicates academic integrity policies and procedures to be implemented by FLVS instructional staff. 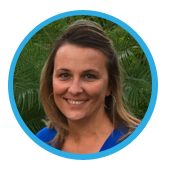 When Anna Worden, 13-year veteran of FLVS, accepted the position of Academic Integrity Manager in 2015, she understood the role as she had been a seasoned FLVS professional. Working closely with the Instructional teams, she champions the academic integrity programs and policies to prevent integrity issues (aka cheating) across all content areas. Adept in research and technology part of her team’s responsibility is to monitor social media/internet for any integrity issues. It is my honor to introduce you to Anna Worden. I hated science in high school and thought I was terrible at it. Later on, I had the most amazing biology teacher at a community college in Colorado. I realized I loved biology and I decided to become a biology teacher with the hopes of instilling that love of biology in students. I have worked at FLVS since May 2003. I have been a biology teacher, mentor, cross-team manager, instructional leader, data analyst, franchise manager, enrollment manager, and academic integrity manager. My daughters (currently ages 12 and 14) inspire me every day. What are the best three things you think you’ve done since you’ve become the Academic Integrity Manager with Florida Virtual School? We have updated our academic integrity matrix to help students understand the importance of submitting their own work and added pieces to make it a learning process for the student. I have had the pleasure of building an amazing team of fabulous educators who want the best for kids. Finally, I have watched a student make a very bad decision, own her mistake, and go on to make it all right and walk across the stage for graduation on time. Raising two girls, there’s not a lot of time to relax, but when dinner, homework, and chauffeuring are done, I enjoy medical reality shows. This entry was posted in Educator Edition, Full Time Edition, Homeschool Edition, Parent Edition, Student Edition and tagged #TeamFLVS, Academic Integrity, Careers, Careers at FLVS, Cheating, Education, FLVS Instruction, FLVS Staff, Guidance, HR, Instructional Leadership, Jobs at FLVS, Meet FLVS Staff, Meet Your Teacher, Online instruction, Professional Development, Staff Interviews, Teach Online, Teaching Careers, Teaching Online, Teambuilding, Virtual instruction, Working at FLVS on November 16, 2016 by Dr. Jeanne Giardino.